Ask Vivek about his mantra as a photographer, and he will sum it up in one phrase – capturing the brilliance of a moment. Considered as one of today’s “Young and Unusual” photographers by India Today Magazine, Vivek has been featured in The Times Journal of Photography, Time Out, Design Today, Better Interiors, National Geographic Traveller India, Forbes India, Smart Photography, Bangalore Mag, The Times of India, Femina, and Women’s Wear Daily -New York. His exhibitions in the city’s art circuits have also given art lovers an opportunity to see and admire his work. I.Opener in October 2005 at the Renaissance Gallerie focused on subjects ranging from still life & portraits, to exteriors. Waterborne in November 2007, at Industree, presented a whole new perspective, with an interesting showcasing of ripples, reflections and patterns from everyday life. 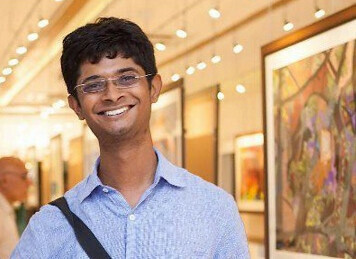 Vivek’s third exhibition was at Sublime at UB City in February 2011 – his theme, Canvas Wall, was inspired by rustic elements in the world around us. His fourth and most recent exhibition, Perfect Imperfections in February 2015, was at the ‘Art of Delight’ – taking you through a picture-book treatment of nature and man-made patterns. Vivek’s work has also been part of two popular coffee table books – by The Laidlaw Memorial High School, Ketti, Nilgris, during their centenary year, and the Best of Bangalore Innovation Edition – Volume II. Q – How did all this begin? How did you get interested in photography? As a kid, I was fascinated with the concept of being able to capture pictures in a magic box. In junior school I always played around using my pencil box as a camera to take make-believe pictures of friends. My fascination and interest in “taking pictures” became serious in my growing years. At the age of 12, my uncle, Avijit Dutt gifted me something I will always cherish – my first real camera, and a dream come true. As a child I also found photo-albums fascinating – flip through the pages and you could go back in time. Take for instance the pictures from your parents’ wedding album, your third birthday party, a vacation you went on with your folks, pictures with your friends from high school – these are moments that can never be recreated.As the years rolled by, deep down, I wanted to pursue photography as a career – didn’t want to do anything else. Q – What formal training do you have in photography? Did this help you learn skills and specialize? I remember we had Pallon Daruwala on our faculty for architecture and interior photography. And he introduced us to an unusually interesting approach to visualizing a frame – a perception of architecture from a documentary point of view. I found this very inspiring – and an eye-opener to different viewpoints and perspectives. Light & Life also gave us the opportunity to interact with other big names in the field – including Paul Liebhardt, Jonathan Kingston and Rudy Loupias – names that conjure up magic when it comes to talent and expertise. There’s something about exposure to really professional talent – just being around them during a session is a learning exercise. Q – Is there something you are always drawn to, as a photographer? Life in itself is inspiring. The beauty in this world and the things around us inspire me to capture life’s special moments – water, reflections, walls, patterns, people, emotions. In a sense, it’s a wonderful canvas showcasing what a wonderful world we live in. Like they say, one picture speaks a thousand words – and depending on when you took that picture, it can take you back in time, or transport you to the future. At the end of the day, a picture does last a lifetime. Having said that, there’s one thing that I always like to stress upon when I am discussing photography – the picture has to speak for itself, without you having to explain, or describe it. It’s got to communicate, without a caption – and that makes a good picture for me. 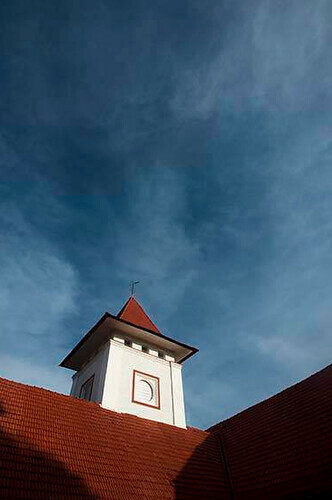 Q – You do seem to have a symbiotic relationship with architectural elements – especially when it comes to photography? I find architectural dimensions interesting, and modern buildings are works of art in themselves – especially in terms of building profiles, detailing and overall perspective. I usually approach a building project from the architect’s perspective with an approach that is original, straight forward, simple and documentary in nature. I concentrate on lines, shapes, patterns and also on how lighting can alter and enhance perspective. I also work hard at making the image clutter free, to do justice to the architect’s vision and design emphasis. While modern design is appealing I also like to work with old monuments, churches and temples – this is entirely for my personal folio. Old colonial architecture for instance is a great source of inspiration for me – especially if it has withstood the test of time. And this is where I experiment with newer view points and techniques and this effort includes shooting abstract and careful detailing. While I do love taking pictures of buildings, I’ve done travel, nature, people and interiors. I guess would also like to be known as a fine art photographer. Q – How would you then describe fine art photography? Even to the common eye, fine art photography is visibly different from conventional portrait or landscape photography – it presents a different canvas. Art photography calls for an artist’s eye – a unique visual sense that needs to come from the person inside you. It’s about the way you see life and the world around you. It’s also about a thought process influenced by careful observation, assimilation of art forms and the work of artists. With fine art photography your mind’s eye outlines focus points, framing and emphasis – unlike commercial photography where you are largely working within a brief from a client or art director. I enjoy fine art photography because it brings out the best in me – almost revealing my inner thoughts and reflections. So inspiring you are Vivek! Known you from the early days & you’ve grown so much with your great body of work. Best to you always! Thank you for your comment, Charmaine 🙂 will share this with Vivek.